I thought it might be nice if we had--as do our sister forums of MIMF and TC--a section devoted to what our members have recently purchased in the way of classical cds. Aaron Copland--Appalachian Spring, Rodeo, Billy the Kid and Fanfare for the Common Man, featuring Leonard Bernstein and the New York Philharmonic. Jean Sibelius--Complete Symphonies, performed by the Vienna Philharmonic under the baton of Lorin Maazel. You've got to pick up every stitch. Oh No....Must be the Season of the Witch. @ Elektra, As a big Shostakovich fan who is still looking to buy a complete cycle of his symphonies, I am very glad for you on your Jansons purchase. Could you please let us know your opinion of his interpretations once you have had time to listen to this set? BTW, Congratulations, he has struck me as a fine conductor with some of the other composers I've heard him do, such as Sibelius. @ Festat, How many cds comprise that Mozart set? @ Elektra and Festat, Thanks to you both! Is someone looking for a Shostakovich symphonies cycle? 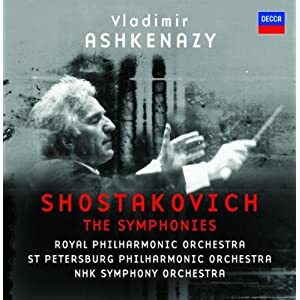 Vladimir Ashkenazy, 12 CD set comes with other orchestral works, such as Festive Overture. It is a budget priced set from Decca. A strong set. This is my latest purchase. The Britten Violin Concerto is like Ms Jansen herself, hot! So we should start a thread about lovely instrumental soloists. I don't know if I could stand the she can middle my bow or tinkle my ivories jokes for too long. In all seriousness, I wasn't a massive fan of her Beethoven concerto but the Britten concerto is so good that it has made me re-evaluate the work. For a concerto it sounds very dramatic and dare I say operatic. 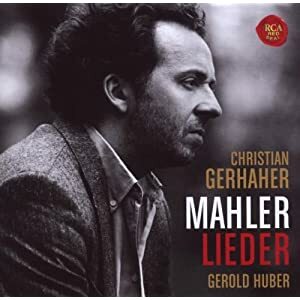 As you may have seen I put a couple of Mahler lieder clips on the lieder thread the other day. However I have just got this and all I can say is wow. The piano reduction is wonderful as is of course the singing. I also got this set by Barenboim. 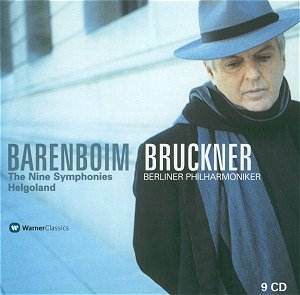 Has anybody else got it and if so what do they think of his Bruckner? I love Gardiner's recent recordings of Brahms' symphonies on his SDG label, so I decided to get the new recording of the German Requiem - even though I have his previous recording on Phillips. 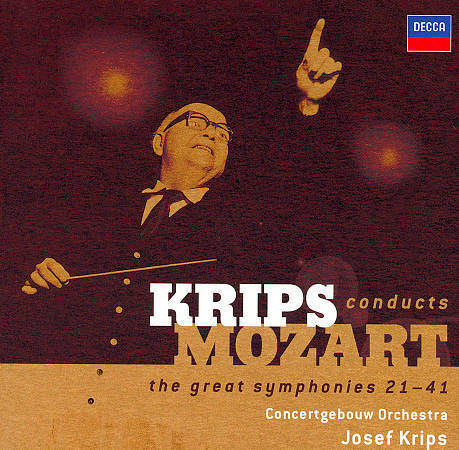 I am a huge fan of HIP recordings, and decided to purchase the second album, as I have really been enjoying Mozart as of late, and I had read many good reviews of the treatment his string quartets get from the period group Quatuor Mosaiques.